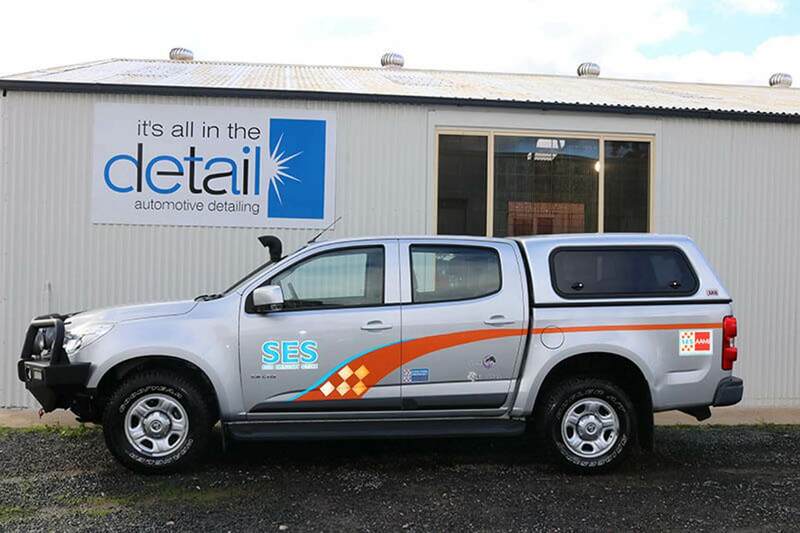 It’s All In The Detail Automotive Detailing is the largest detailer of government contracts and private companies in the Australia’s western region. We cater to customers located primarily in Ballarat as well as surrounding suburbs. It’s All in The Detail uses a range of superior quality products combined with modern techniques to provide the best results for your car. Our staff are fully trained detailers with several years of experience, and of course, a passion for detailing. It’s All In The Detail has a huge variety of budget-friendly services depending on your needs. We cater for all types of interior and/or exterior detailing. 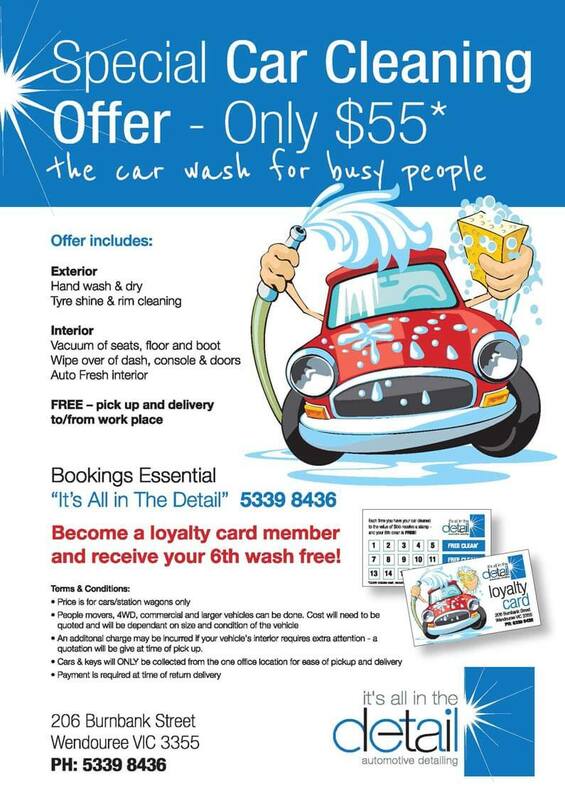 * Prices for all services are subject to inspection of vehicle or in consultation with our Detailing Manager. – As pricing varies depending on the services required, the initial condition of the vehicle and the size of the work requested. Full cut and polish of paintwork, wash and clean exterior including wheels and tyres; clean engine bay; clean door jams and rubbers; vacuum and shampoo seats and carpets; clean roof lining; clean all vinyl and trim areas including dash, vents, consoles and doors trims; clean windows inside and out. Wash and clean exterior including wheels and tyres; remove tar; wash engine bay and door jams; wipe over, clean and vacuum interior; clean windows inside and out. Full cut and polish of paintwork; wash and clean exterior including wheels and tyres; wash engine bay and door jams; clean outside windows. Vacuum of seats and carpets; full shampoo of seats and carpets; clean all vinyl and trim areas including dash, vents, console and door trims; clean roof lining and inside of windows. With our staff’s precision and eye for detail, you can be rest assured that we will take care of your pride and joy.